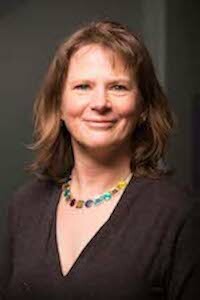 Dr Jennifer Edmond is Associate Professor of Trinity College Dublin and the co-director of the Trinity Center for Digital Humanities. She holds a PhD in Germanic Languages and Literatures from Yale University, and applies her training as a scholar of language, narrative and culture to the study and promotion of advanced methods in and infrastructures for the arts and humanities. In this vein, Jennifer serves as President of the Board of Directors of the pan-European research infrastructure for the arts and humanities, DARIAH-EU. Additionally she represents this body on the Open Science Policy Platform (OSPP), which supports the European Commission in developing and promoting Open Science policies. Outside of DARIAH, she has also developed a significant individual profile in European research and research policy circles in the past 5 years, having been named one of Ireland’s five “Champions of EU Research” in 2012. She coordinated the CENDARI FP7 (2012-2016) project and is a partner in the related infrastructure cluster, PARTHENOS. She was also coordinator of the 2017-2018 ICT programme-funded project KPLEX, which investigated bias in big data research froma humanities perspective, and is currently a partner on the CHIST-ERA project PROVIDE-DH, which is investigating progressive visualisation as a support for managing uncertainty in humanities research.